Raakshas by Piyush Jha narrates the thrilling, sometimes heartrending and sometimes horrifying journey of the making of a serial killer who transforms from a normal person to a Raakshas (devil), a serial killer so terrible that there is no other word to describe him. When I first heard about the book, I was intrigued by the unconventional topic of the book and its title "Raakshas". I hadn't read a book that focused on giving light to a killer's perspective and this, added to the fact that I had heard so much about Piyush Jha but never got a chance to read his work until now, I knew I had to read this book. The cover, title and blurb are an interesting and intriguing first glance package that are sure to attract the attention of the readers. The plot is different and well researched which shows right from the start. The author managed to capture my attention right from the first chapter and soon had me feeling a multitude of emotions right from feeling sympathetic to the misfortune of a child to feeling horrified at the cruelty prevailing in the world around us, seemingly hidden behind the normal looking faces of people who are so devilish that I was thrown by the way their mind works and their heartlessness. The book is crisp, fast paced and had me sitting at the edge of my seat throughout. Even when I felt repulsed by, horrified at and so heartbroken by the torture endured by the Raakshas that formed his childhood and made him a devil, I could not keep down the book- I was so intrigued and eager to read more! Piyush has a way of bringing out the right emotions from the readers and had me totally engaged in the book. However, despite his extensive research and detailed narrative, at places I felt the narrative deviating, getting a bit vague and had me feeling like instead of a story I was reading a research paper. Maithili's narrations ended abruptly many times which could have been toned down to end more smoothly. The world building is impressive and the author showcases a very dark and a very different Mumbai from the sparkling one that we know. A perfect setting for the serial killer, I got goosebumps reading the story and know I will never look at Mumbai the same way again. The murders are very detailed but still after a time they stopped shocking me, maybe because I was expecting them. Maithili is a strong character but I felt her character could have been made more impressive. Her past trauma and that of the serial killer makes one feel both sorry and more connected with these characters. This is the first book in a long time that had me sympathizing with the villain and thinking about the various ways through which he could have been saved from losing his innocence and from becoming an abhorred killer. The last few chapters look hurried and I think could have been made more crisp and appealing. While I enjoyed the book, I do feel that the last part is weak and had so much potential to end in a blast. Still, this is a book that I enjoyed reading. The bonus section that includes information about many serial killers in India is a pleasant surprise and I thoroughly enjoyed reading it. All in all, Raakshas is a book with a different plot that had me sitting glued to the story right till the end. 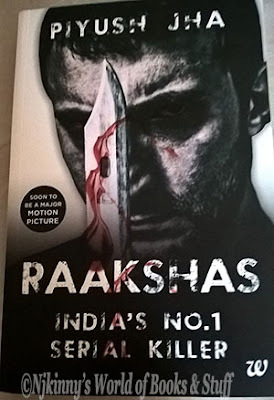 Recommended to everyone especially to lovers of crime/thriller fiction, I give Raakshas 3.5 out of 5. 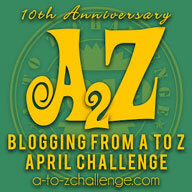 Go read it and enjoy! I know I will checking the other works by Piyush Jha in the future. I received the book from the author through Writersmelon Reviewing Program and I am very thankful to them. The above review is my honest and unbiased opinion and in no way influenced.